Manufacturing tolerances have never been tighter, requiring systems that constantly monitor lubricants for quantity and quality. IIoT technology converts lubrication systems into bellwether tools that improve equipment reliability. When thinking about lubrication, do you think high technology or low technology? Chances are, your answer is low technology. Listen to this in-depth conversation with Ken Bannister on Lube Sensors. In today’s world of smart machinery employing moving parts, a lubricant must be viewed as a critical and integral machine component if the equipment is to perform in accordance with its exacting design specifications. 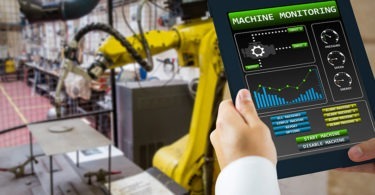 As little as 10 years ago, the world of lubrication was predominantly low tech, but the rapid ascent of smart-machine technology and the IIoT (Industrial Internet of Things) requires that lubricant delivery and condition be carefully monitored and controlled to provide an optimum machine state at all times. If you have purchased a new car lately, you may have noticed a change in how the car’s lubrication system is monitored. New vehicles are now designed with tighter bearing tolerances, higher engine performance outputs, greater fuel mileage, and longer engine warranties than their predecessors. The old standby 10W30 mineral oil, requiring an occasional manual dipstick check, has been replaced with a new standardized synthetic 0W5 oil that is continually monitored by the car’s onboard computer system. In the past, oil changes were based on a 3,000-mi. (5,000-km) or 3-mo. calendar interval, whichever came first. In today’s vehicle, interactive onboard sensors indicate to the driver exactly when to perform an oil change. This constant oil-condition monitoring has resulted in significantly extended change intervals, sometimes by as much as 300%. Modern vehicle sensors don’t just tell the operator when to change the oil, they collect an array of related data such as user driving patterns, oil operating temperature, pressure, moisture content, oil oxidization, distance travelled, time since last oil change, and other data such as engine power delivery and fuel usage. The on-board computer learns and adjusts to the driver’s habits using algorithms to adjust engine tuning in real time for optimal performance. Should an engine failure occur, all sensor data is available for download and analysis by the automotive technician. In addition, this data can also be compared to vehicle fleet data to establish vehicle system design faults. Closed-system monitoring sensors for lubrication systems and lubricants have been available for decades. They are used to monitor simple changes in bearing and lubricant condition state such as temperature change, lubricant flow-rate throughput, lubricant pressure, actual and differential pressure drop across filters, fluid levels (low-high levels), and lubricant moisture content. An analog sensor would sense a change in state and activate a switch wired to set off an operator alert on the machine panel in the form of a light or buzzer. Typically, the operator would then cancel the signal and ask maintenance to troubleshoot the alarm and reset the switch. 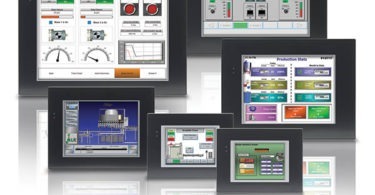 Recent advances in sensing and data-acquisition technology now allow for open systems that can upload multiple signals into a smart data-management engine, on or off site. The data can then be run through a series of algorithms designed to determine possible causes and remedies and send a directive back to the maintenance-management software to print a work order and/or notify any authorized personnel connected by smart phones or computers anywhere in the world. The same signal data can also be correlated and analyzed with real-time and historical-predictive data such as vibration and infrared signatures to corroborate the analysis and accurately predict the potential failure occurrence. IIoT advances are leading to open lubrication systems with ever-smarter data-management and alert capabilities. Whereas the old tech sensors relied exclusively on mechanical switch/trip mechanisms, newer smart devices are designed with built-in microcircuits that continually collect and transmit measurement data to data-analysis systems that can be located anywhere. Smart sensors can be purchased as single- or multiple-sensing devices. Temperature: Temperature-change sensors can be mounted in the lubricant reservoir and/or at individual/critical bearing points. Temperature change is a bellwether indicator that something has changed within the lubrication system and can point to numerous potential faults such as oil leaks creating a lack of lubrication at multiple bearing points, blocked or broken lube lines creating a lack of lubrication at a single lube point, or a thermal reservoir blanket of accumulated dirt and/or debris covering the reservoir top, causing the reservoir lubricant to heat up. According to the Arrhenius rule, every 17-deg. F rise in lubricant temperature will reduce the oil life by half. Pressure: Lack of line pressure is indicative of a broken line or leaking reservoir. Increased line pressure is indicative of a blocked or crimped lube line, or blocked bearing-lubricant entrance point. Pressure differential (delta) can also be sensed across oil filters, indicating whether the filter media is full and in need of a change prior to moving into a possible destructive bypass mode. Moisture: Simply put, water is detrimental to most machined surfaces and does not belong in lubricants. Water presence indicates a compromised reservoir allowing contamination from cleaning or process functions, or a rapidly changing ambient temperature from hot to cold and back, causing condensation to occur inside the reservoir. Particulates: Solids contamination in the form of particulate (dirt) or wear metals can be optically sensed. Particulate contamination can be caused by a compromised reservoir allowing dirt to enter the reservoir, use of dirty transfer equipment, or use of dirty lubricants. Oxidization: Lubricant oxidization is most often the result of additive-package depletion, indicating the oil is aged and in need of change. Lubricant levels: If a lubrication system is to function correctly, the reservoir must be filled to the correct level. There is usually an accepted high-fill point and an acceptable low-fill mark, typically indicated on a dipstick. Low levels indicate leaks, oxidization, or under-filling. High levels indicate water absorption or over-filling. Energy metering: Motor-driven devices, such as fans and conveyors, will draw more energy if the driven component bearings are under lubricated. Sensing amperage-energy-draw changes, using virtual-energy metering, can be set up to activate an automated lubricator when the amperage increases, and turn off the lubricator once the amperage drops back to a recognized normal energy draw state. For more information on condition-based lubrication and system design, you may be interested in Ken Bannister’s book Practical Lubrication for Industrial Facilities, 3rd Edition, co-written with Heinz Bloch and published by Fairmont Press. Reach Ken at 519-469-9173 or kbannister@engtechindustries.com.